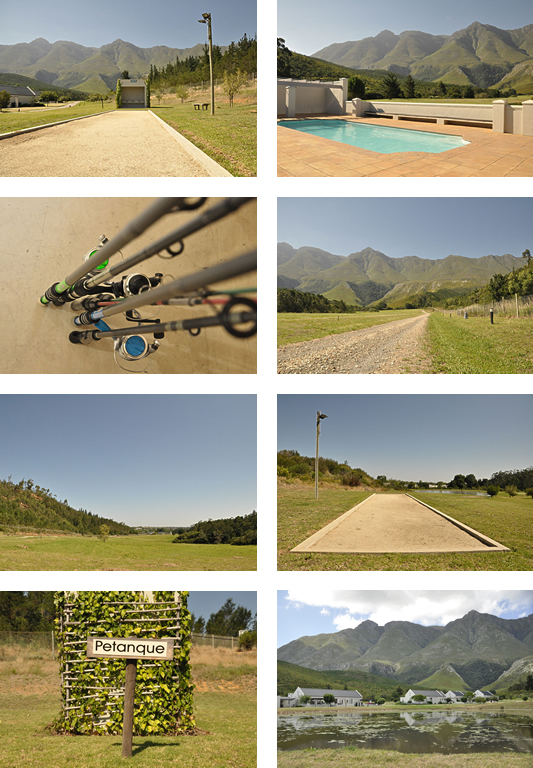 Swellendam is a relaxed, child-friendly holiday destination. Make the most of your stay by exploring the area and its attractions. POOL – Lounge at the pool, and gracefully admit defeat in the water fights with your children 😉 Enjoy chlorine free swimming with hydrover oxymatic water treatment (first in South Africa!). PETANQUE / JEU DE BOULES – Challenge your friends and family at our jeu de boules court, with stunning views of the mountains, dam and Swellendam. RIVER TRAIL – Walk the child-friendly and bird-friendly river trail, and sit down for a picnic. BIRDING – Get in touch with the birder in you, refresh your ornithology knowledge and meet the stunning, bright birds that call Gaikou home. MARLOTH NATURE RESERVE – Venture off into the mountains at the Marloth Nature Reserve (adjoining Gaikou) and hike your way through endemic fynbos vegetation, on or off horseback. FISHING – Show your son how to catch a fish in one of Gaikou’s two dams – and allow him to catch the biggest fish 😉 No need to bring, we have our own gear. While there is a whole lot to do at Gaikou Lodge, you may want to explore the area in and around Swellendam. Here are a couple of suggestions. Swellendam is steeped in history, and its open-air musea like the Drostdy Museum will take you back up to 300 years. Stroll the Swellendam village pavements and absorbe the old world atmosphere at the historic church. Work on your handicap at the nearby Swellendam Golf Club, a 9-hole golf course. For the sweet tooth, the Chocolat Etc stocks a tempting selection of chocolate. The Bontebok National Park is only 22km away, and has stunning samples of South African fauna and flora. A little further way Robertson is a town known as the valley of wine and roses, at the heart of the wine route – Route 62. A day trip to Robertson is a great way to indulge in the great quality wines this beautiful town has to offer. Easy day excursions are to Cape Agulhas, the southern-most tip of Africa, and De Hoop Nature Reserve, where you can view game and explore the seashore. A day trip to Witsand via Malgas on the Breede River offers an opportunity to cross the river on the only man-powered Pont in the country!